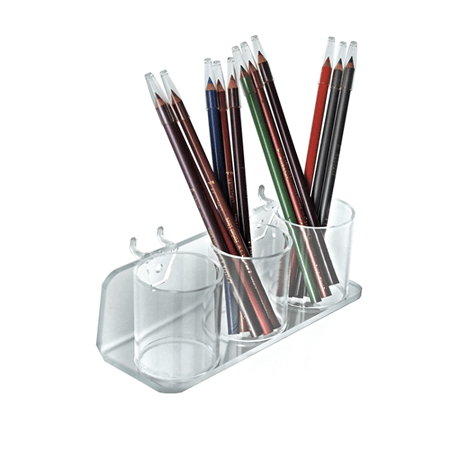 Just because this Acrylic three cup display tray is small doesn't mean they can't get the job done. Acrylic cup displays will help you make the most of that countertop space that's just wasting away. 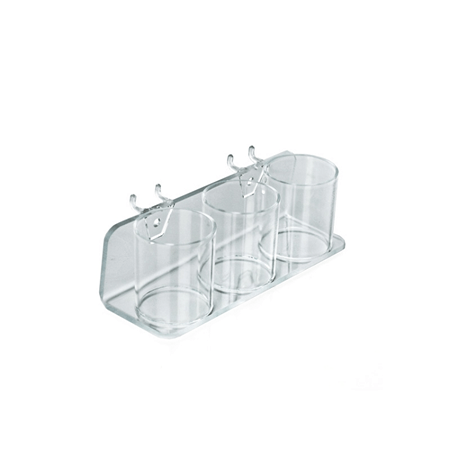 These display cups with trays are a great way to display small cosmetics and beauty products. But don't stop there. 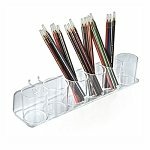 Use this set of acrylic containers for small hardware or any items that you want to display grouped together. 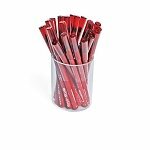 You will be surprised at how easy it is to keep everything neat and organized and customers will appreciate being able to find products at a glance. Order yours today. 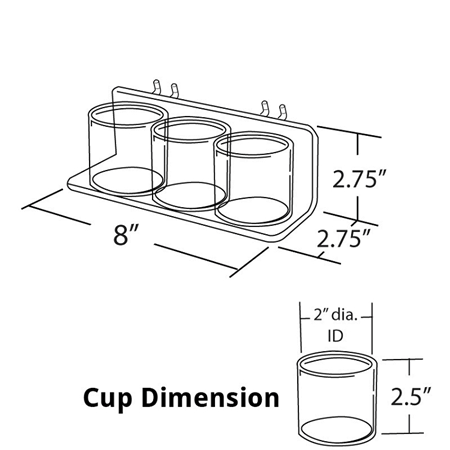 Each Cup Measures 2.5" H x 2.25" Dia.